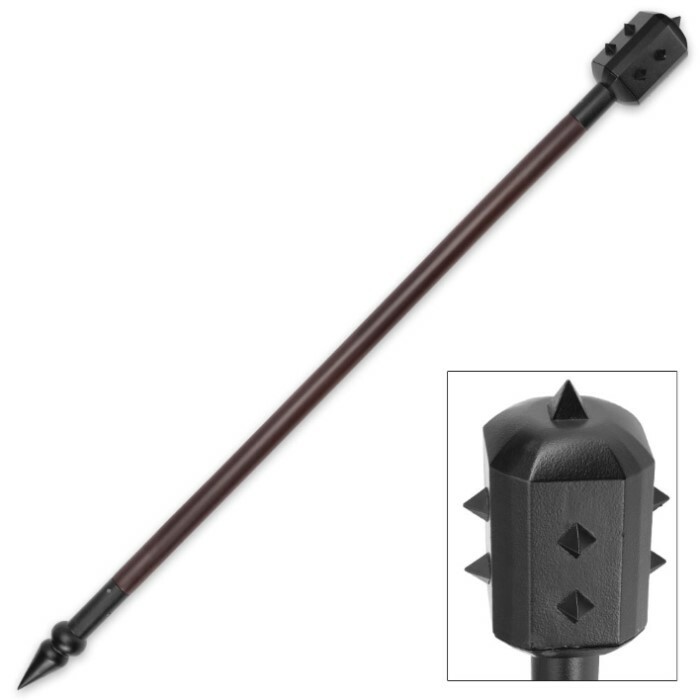 Assert your right to rule barbarian warlord-style with the Iron Rule Spiked Mace. Both a sadistic-looking scepter and savage weapon in one, the Iron Rule Mace is big, bad and unforgiving. Pick it up once, and it's immediately clear - this weighty mace is death on a stick; more than capable of inflicting serious damage upon anything unlucky enough to be on the receiving end. 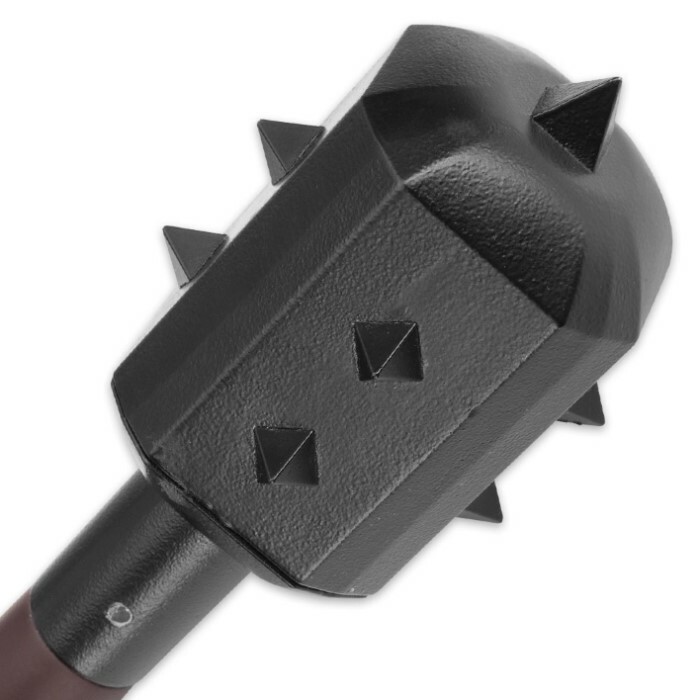 The menacing spiked mace head is ruthless solid cast metal with a brooding black finish. Brutally hefty, it yields incredible centrifugal energy, meaning swinging momentum is multiplied and striking force is always severe, even from less-than-vigorous swings. The bitterly pointed foot spike is likewise forged from solid metal and equally potent, affording awesome penetrating power. Both of the ferocious metal ends are securely riveted to a solid hardwood rod. Together, the vicious ensemble of wood and metal that is the Iron Rule Spiked Mace offers countless offensive and even defensive combat options. It also just plain looks intimidating - a scepter worthy of any warrior king, seated on his iron throne. Take your place among these infamous barbarian warlords and wield the Iron Rule Spiked Mace today!